Before foods are deep fried or pan fried, they are normally smothered in a dry or wet coating. Dry coatings are often referred to as “breadings” since they frequently, but certainly not always, include the use of bread crumbs. Wet coatings are called batters. Breadings can be used when deep frying or pan-frying. Batters are exclusive to deep-frying. Deep frying involves completely submerging the food in oil. It is performed in a deep fryer or a large pot while pan frying, as its namesake suggests, is done in a pan. However, the crucial differentiation is that in pan frying the oil’s depth is no more than half the food’s height. This is why wet battered food must be deep fried; if not completely engulfed in oil, the batter would simply run off before it had the opportunity to cook and coalesce. In a large, heavy pot, heat 2 inches of the vegetable oil to 350 degrees. In bowl, combine panko breads crumbs and coconut. Place shrimp in resealable bag, pour beaten egg in bag with the shrimp. Making sure shrimp is coated in eggs. Place shrimp in coconut mix. Making sure shrimps coated in coconut mix. Fry the shrimp in batches in the hot oil for 1 to 2 minutes or until brown. 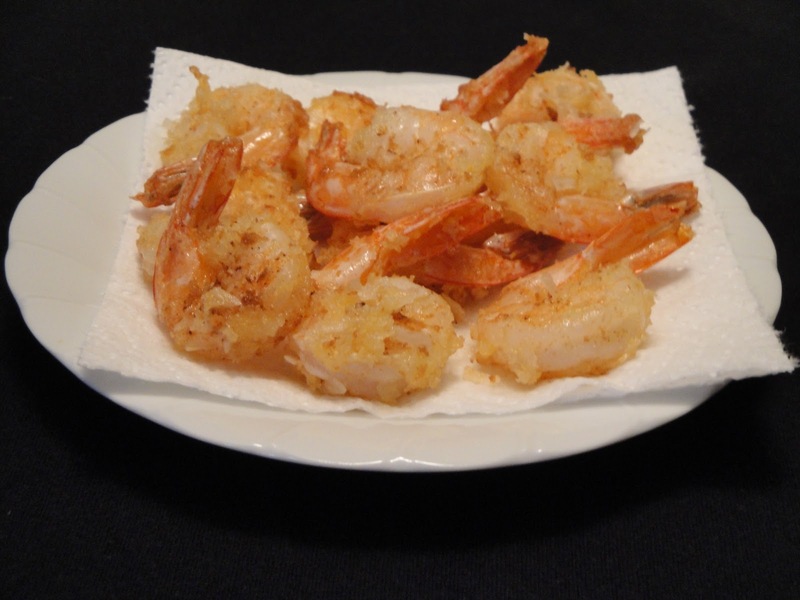 Use a slotted spoon to transfer the shrimp to a dish lined with paper towels. Enjoy! I really love panko for deep-fried things--it has such great texture. These look delicious! Great recipe Christine. I want to try something like this using the panko and coconut. Have a lovely weekend. Great breakdown of the difference between battered and breaded. This coconut fried shrimp looks to die for! Have a fab weekend Christine! I really don't like any thing fried except coconut shrimp. It is a favorite. These look amazing and your post is, as always, informative.